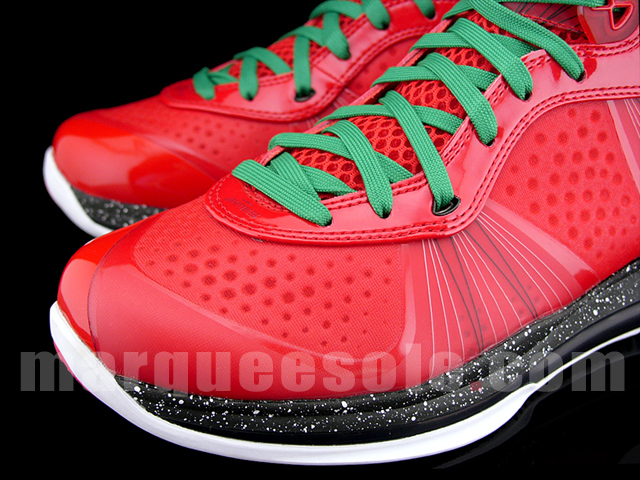 First previewed earlier this week, we now have a closer look at the Christmas edition of the LeBron 8 V2. 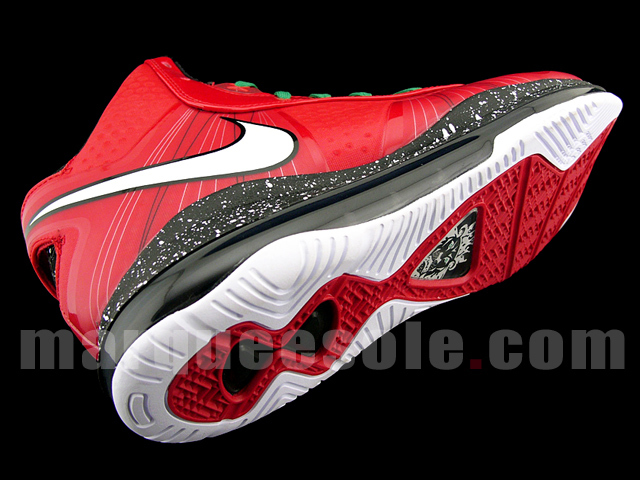 Set to release next month. First previewed earlier this week, we now have an even better look at what we can expect to see on the feet of LeBron James this Christmas day when the Miami Heat take on the world champion L.A Lakers. Most would agree there is not a better way to introduce the V2 than one of the biggest games of the year on one of the best holidays of the year. 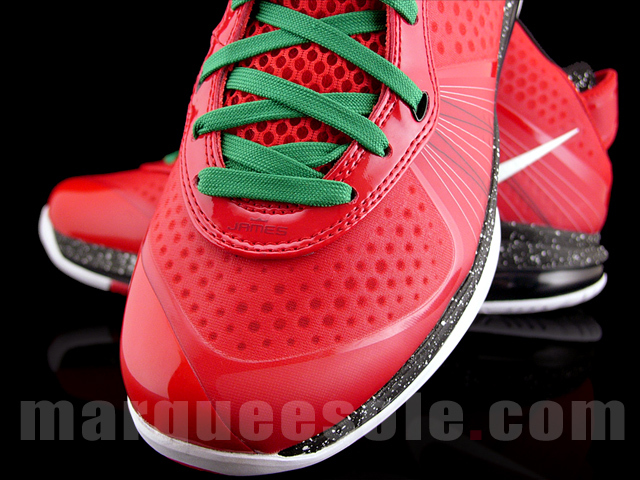 Christmas colors take over the look, with red dominating the lightweight upper and working in patent along the eyelets. White takes place on the Swoosh and outsole, as well as the medial Swoosh which was absent on the previously previewed sample. 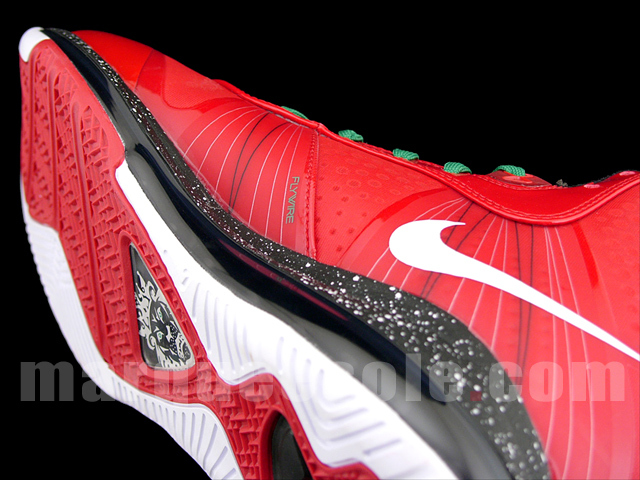 Lastly, black is seen along the full length 360 Air unit, sockliner and once again on the midsole wit hthe help of white speckle. 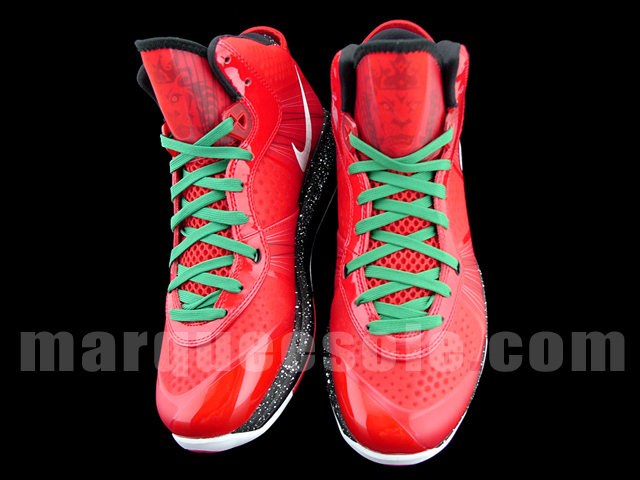 Green laces are also seen, completing the Christmas day inspiration. 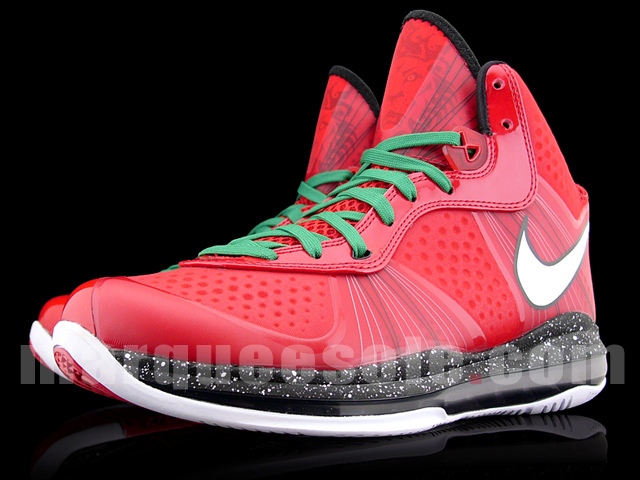 The Christmas edition of the Nike LeBron 8 will be released December 26th, 2010 at select Nike Basketball retailers.